minhag - Is it permitted to browse Mi Yodeya on Christmas Eve? Some communities have the custom to avoid learning Torah (some have the custom to avoid learning publicly) on Christmas Eve, known as Nittel Nacht. Would they allow one to browse this website? What about if the answers/questions were about Nittel? If you hold that you can't learn on nittel then learning on this site is still considered learning . If you hold that learning in private is fine ,then browsing this site in private is fine. Regarding looking up questions about nittel on nittel would seem to be fine. Just like we find by Tisha bav that one can learn about laws of tisha bav so too on nittel one should be able to learn about nittel,however learning biyun on the subject may be problematic . 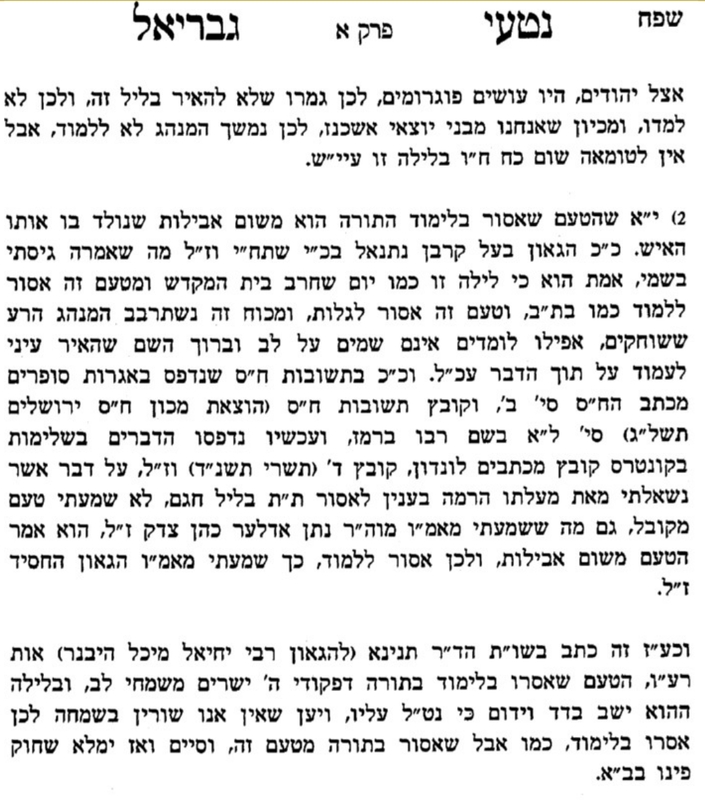 To give a halachic source would be difficult since this is a minhag,and many do not hold of it,but I think one can compare to tisha bav,since it shouldn't be any worse than tisha bav which is written in the SA. There is an idea(Korban Nesanel) that the minhag of not learning is beacuse of mourning and is like the destruction of the Bais Hamikdash. So the prohibiton of not learning could be similar to tisha bav. Not the answer you're looking for? Browse other questions tagged minhag torah-study chasidut-hasidism . By using judaism.stackexchange am I fulfilling the mitzvoh of learning Torah?